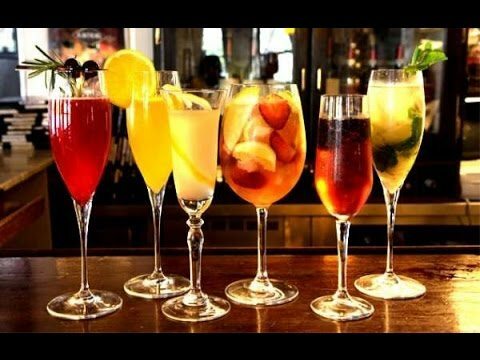 All the most sought after cocktail recipes all in one spot for you! Cocktail drinks became super popular in the roaring 20’s when vodka was brought back to America by the Soldiers from WWI. Nowadays, there are 1000’s upon 1000’s of drink recipes floating around in bookstores and online. Here a list of the most popular recipes worldwide – the drinks people know, order, and enjoy on every continent around the globe! *Note: Bar Lime Mix is also known as Sweet & Sour Mix, Margarita Mix or sometimes even just Lime Juice. 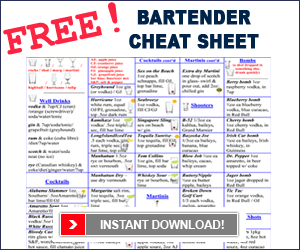 You can check out our other pages on Drink Recipes, like Martinis, Shooter Recipes, Mixed Drinks, Non-Alcoholic Drink Recipes, And everybody’s favourite Tequila Recipes.We also have Video Tutorials on how to make popular drink recipes like the Cosmopolitan, White Russian, Blue Hawaiian, Kamikaze, Hurricane, and the Bloody Caesar.